Thanks for visiting this page. As your Government Relations Chair, I encourage you to timely and completely report all of your time, mileage, donations, and money spent toward charitable acts during the year. Last Year, Texas contributed $26,328,442.88 to our communities here in Texas. 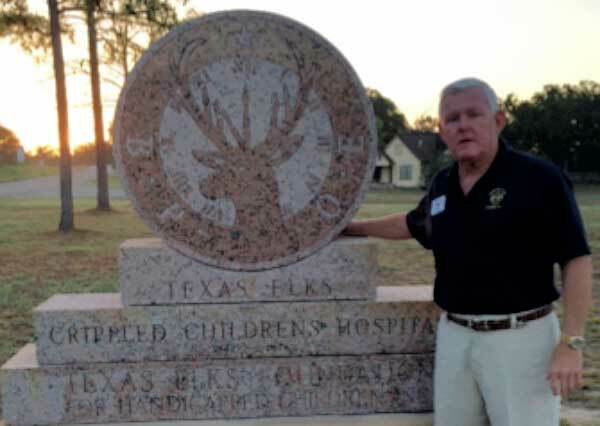 Nationally, Elks donated over $300 million. These amounts are so important in that it is how we demonstrate to our elected officials across this state and the nation that we continue to carry out the fraternal aims of our charter. This, then, relates to the continued work of Government Relations to see that such things as our property tax exemption remains intact. There are many local government relations activities that Lodges should get involved with. An annual Elected Officials event is an excellent way to introduce your city and county officials to your lodge and the contribution you make to your area. Please contact me with any questions or comments. And Thanks for All YOU Do.